The engagement of Princess Maud to Lord Carnegie was "officially announced tonight," reports the New York Times. 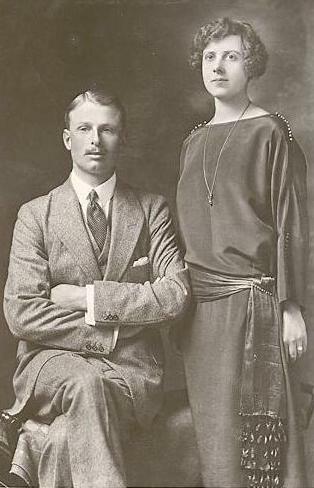 Princess Maud is the younger daughter of the Princess Royal and the late Duke of Fife. Lord Carnegie is the eldest son and heir of the Earl of Southesk. Princess Maud, who was born in 1893, has spent "most of her life quietly with her mother," the widow of the Duke of Fife whose death was the consequence of a shipwreck in the fall of 1911. Although the family was rescued and made it to shore, the Duke never fully recovered from the "effects of the immersion" and died in January 1912 from "congestion of the lungs." Princess Maud is said to be an "expert angler," and has spent "many happy hours" with her uncle, King George V, on the River Dee. She holds the "record of having caught the biggest salmon ever taken on the Dee." She also enjoys swimming and "delights in the open air life." She is an "extremely good linguist," and is fluent in German and Italian. The King announced the marriage with "great pleasure" and "gladly gave his consent" to the marriage. Princess Maud's sister, Alexandra, Duchess of Fife in her own right, has been married since October 1913 to Prince Arthur of Connaught.